Included in this lot we have a original portrait titled 'Mandan' drawn by Tom Saubert. 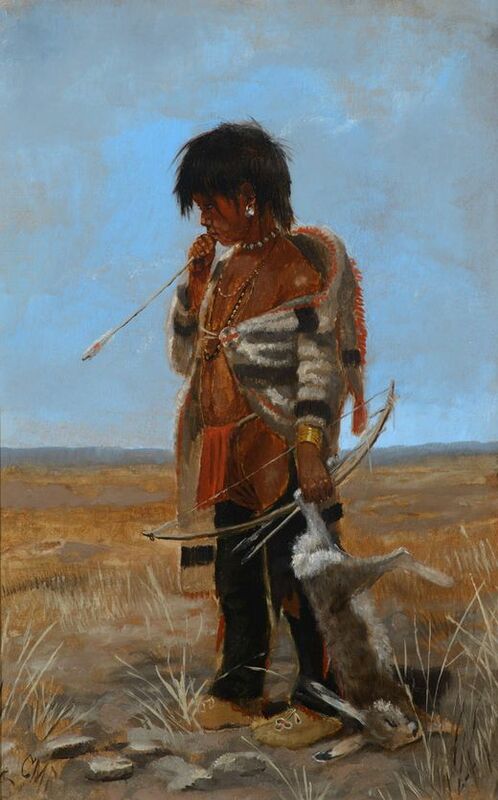 Saubert is a Montana Native who is known for both his historic and contemporary renditions of Native American peoples and cultures. The portrait shows the image of a Native American from the Mandan tribe located around North Dakota. The Native American is shows wearing buffalo hide shirt with beads, feathers, and bone woven into the hair. The portrait is signed in the bottom left hand corner marked "TSoubert - 1977 - Mandan". The portrait is placed in a tan folder with a oval cut in the center. The portrait is in good condition overall. The piece measures 12 3/4" tall by 10 3/4" wide with the painting measuring 9 1/4" tall by 7 1/4" wide.